Dead or Alive 6 is the sixth title in the DoA fighting series. 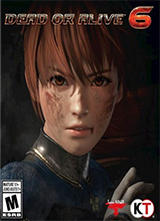 As the first game developed for current gen consoles – the re-released/updated version of DoA 5 notwithstanding – DoA 6 utilizes an all new graphics engine. It also features new gameplay elements, a solo campaign mode, customization options and more.